Post-Normal Physics has “hit the buffers” and become a “train wreck”. Post-Normal Science is a concept developed by Silvio Funtowicz and Jerome Ravetz, attempting to characterise a methodology of inquiry that is appropriate for cases where “facts are uncertain, values in dispute, stakes high and decisions urgent” (Funtowicz and Ravetz, 1991). It is primarily applied in the context of long-term issues where there is less available information than is desired by stakeholders. According to its advocates, “post-normal science” is simply an extension of situations routinely faced by experts such as surgeons or senior engineers on unusual projects, where the decisions being made are of great importance but where not all the factors are necessarily knowable. Although their work is based on science, such individuals must always cope with uncertainties, and their mistakes can be costly or lethal. Physics must rigorously apply the scientific method. The chief characteristic which distinguishes a scientific method of inquiry from other methods of acquiring knowledge is that scientists seek to let reality speak for itself, supporting a theory when a theory’s predictions are confirmed and challenging a theory when its predictions prove false. Although procedures vary from one field of inquiry to another, identifiable features distinguish scientific inquiry from other methods of obtaining knowledge. Scientific researchers propose hypotheses as explanations of phenomena, and design experimental studies to test these hypotheses via predictions which can be derived from them. These steps must be repeatable, to guard against mistake or confusion in any particular experimenter. Theories that encompass wider domains of inquiry may bind many independently derived hypotheses together in a coherent, supportive structure. Theories, in turn, may help form new hypotheses or place groups of hypotheses into context. Physics needs to restart with René Descartes [1596–1650]. Descartes’ vortex theory of planetary motion proved initially to be one of the most influential aspects of Cartesian physics, at least until roughly the mid-eighteenth century. A vortex, for Descartes, is a large circling band of material particles. 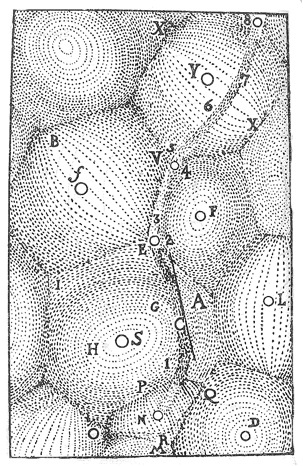 In essence, Descartes’ vortex theory attempts to explain celestial phenomena, especially the orbits of the planets or the motions of comets, by situating them (usually at rest) in these large circling bands. The entire Cartesian plenum, consequently, is comprised of a network or series of separate, interlocking vortices. In our solar system, for example, the matter within the vortex has formed itself into a set of stratified bands, each lodging a planet, that circle the sun at varying speeds. The minute material particles that form the vortex bands consist of either the atom-sized, globules (secondary matter) or the “indefinitely” small debris (primary matter) left over from the impact and fracture of the larger elements; tertiary matter, in contrast, comprises the large, macroscopic material element (Pr III 48–54). This three-part division of matter, along with the three laws of nature, are responsible for all cosmological phenomena in Descartes’ system, including gravity. 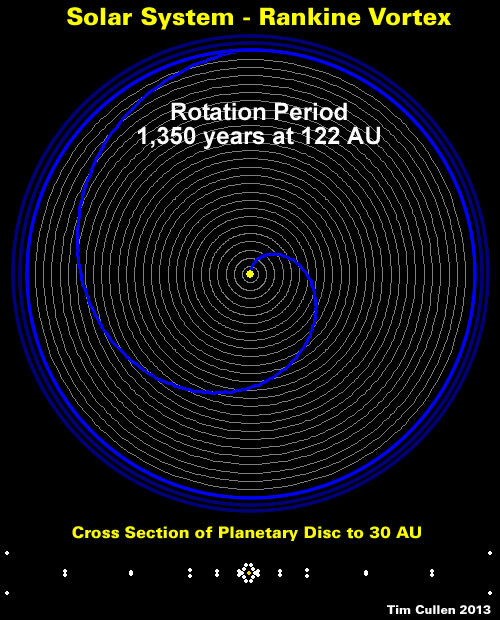 As described in Pr III 140, a planet or comet comes to rest in a vortex band when its radially-directed, outward tendency to flee the center of rotation (i.e., centrifugal force; see Section 6) is balanced by an equal tendency in the minute elements that comprise the vortex ring. If the planet has either a greater or lesser centrifugal tendency than the small elements in a particular vortex, then it will, respectively, either ascend to the next highest vortex (and possibly reach equilibrium with the particles in that band) or be pushed down to the next lowest vortex—and this latter scenario ultimately supplies Descartes’ explanation of the phenomenon of gravity, or “heaviness”. More specifically, Descartes holds that the minute particles that surround the earth account for terrestrial gravity in this same manner (Pr IV 21–27). Thus, Descartes envisioned the birth of planets as a transformation process that begins with the death of stars. Although he was careful to couch his planetogony in hypothetical terms – mindful of the fates that befell Galileo and Bruno at the hands of Cardinal Bellarmine – he most certainly believed that this process actually takes place in nature. Nonetheless, this transformation hypothesis was abandoned along with the rest of the vortex cosmology, ending the possibility for its further development by future generations of Cartesian cosmologists. But, we should ask, does this matter in light of the many subsequent attempts that have been made to explain the origin of planets based solely on the firm ground of Newtonian dynamics? Are Planets the End Products Rather than By-Products of Stellar Evolution? 1) The Universe is mechanical – there are no mysterious “forces at a distance”. Plasma provides charged particles and double-layer boundaries. Electro-magnetism causes charge particles to spin. Spinning charged particles entrain neutral particles. 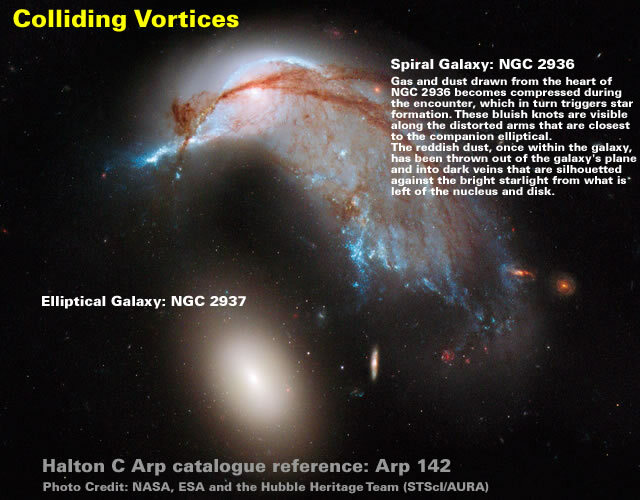 Vortices generate centripetal forces [commonly called gravity]. Centripetal force results in density separation. Centripetal force accretes central spherical objects. 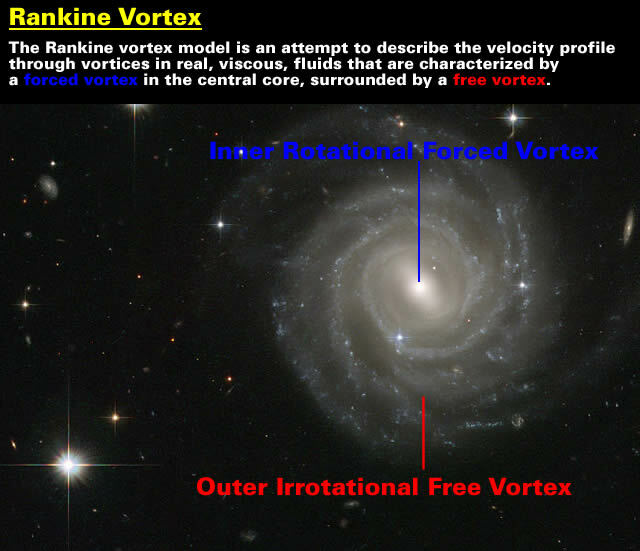 2) The structure of the Universe is based upon nested Rankine Vortices. Bebout, Gray E., Marilyn L. Fogel, and Pierre Cartigny – Guest Editors (2013) “Nitrogen and Its (Biogeocosmo) Chemical Cycling,” Special Issue of Elements: An International Magazine of Mineralogy, Geochemistry, and Petrology, Vol. 9, No. 5, Oct. ISSN 1811-5209. I’ve read your article and have a questoin. What is the double layer boundary that is created from the star plasma? The heliosheath [the outermost layer of the heliosphere] appears to be a particulate double layer. I am working on a follow up posting which [hopefully] will give you a slightly more useful reply. But don’t hold your breath… its probably a couple of months away. It’s been more than a “couple of months” but [hopefully] the current series of postings relating to Taylor–Couette Flow articulates why I think Particulate Double Layers are very important. The late Dr. Arthur C. Custance wrote many papers and books dealing with Noah and the flood. One example, the website has more information. Also, his The Seed of the Woman Part I deals with longevity in antiquity and longevity in Genesis. He has some good insight as he was a researcher in the human engineering area. I wonder if you have ever looked at Einstein’s theory of General Relativity. While I’m not opposed to people exploring or creating alternatives, I think you should realize that the scientific community doesn’t consider Newtonian gravity to be how the universe works, rather that it is a model that is relatively accurate within certain bounds. In particular Einstein’s theory does not work by assuming that gravity is a force that affects objects infinitely away infinitely as Newton’s equations imply (a valid problem with Newton’s equations that even Newton was uneasy with). Instead it works by curving space and time in such a way that object’s worldlines move towards collections of mass. And this curving of space happens at a finite speed, the speed of light. Meaning that as a star moves it essentially is creating a ripple effect so that observers seeing the gravitational effect of a star see it coming from where the light source is coming from and not from where the star would actually be at that time. The effects of that this would cause have been well explored and scientifically proven. Including the fact that GPS satellites actually need to have their clocks adjusted every few milliseconds or they start to deviate from clocks on Earth leading to bad GPS coordinates. Also I’ve read elsewhere that you find the idea of space and time curving to be problematic, but it’s one of the few theories that can account for the fact that light was found to move in all directions at an equal speed relative to Earth without sacrificing the notion that the laws of physics are universal (which dropping would basically null the idea of physics) and has also been able to best describe the motion of all celestial bodies we track. It hasn’t been 100% verified to be the true theory (and Newton’s theory never was either because discrepancies between predictions between Newton’s theories and observations were never fully resolved or couldn’t be resolved such as the advancing perihelion of Mercury’s orbit, it just took 230 years for someone to come up with a theory that could mathematically describe the motion of celestial bodies better than Newton that didn’t violate other laws such as thermodynamics or be based upon laws that were soon proven to be inaccurate). Clues to the longevity of the Biblical patriarchs are found in several books of the Old Testament – it’s simply a matter of piecing the clues together – which is not at all complicated. It’s curious to me how millions of researchers have – for generations – elected to overlook all these clues which – when pieced together clearly reveals what phenomena allowed the Biblical patriarchs from Adam to Noah to live nearly 1,000 years. 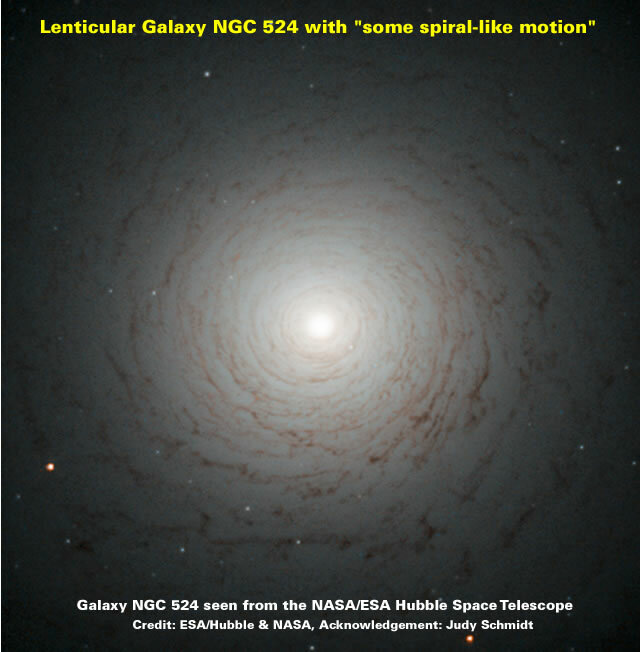 Descartes thought planets were fizzled stars? Blimey, nothing new under the sun.